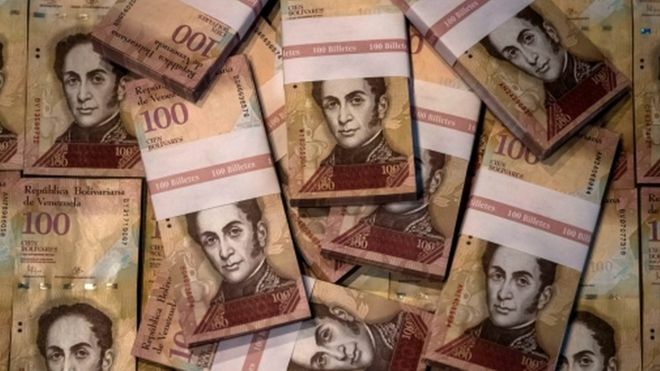 The Venezuelan government has announced it will replace the country's highest-denomination banknotes with coins within 72 hours, BBC reports. It hopes swapping the 100-bolivar notes will help to stop smuggling and tackle shortages of food and other items. President Nicolas Maduro says gangs operating in border areas will not have time to repatriate the notes. His critics dismissed the move as the latest desperate attempt by Mr Maduro to tackle the economic crisis.